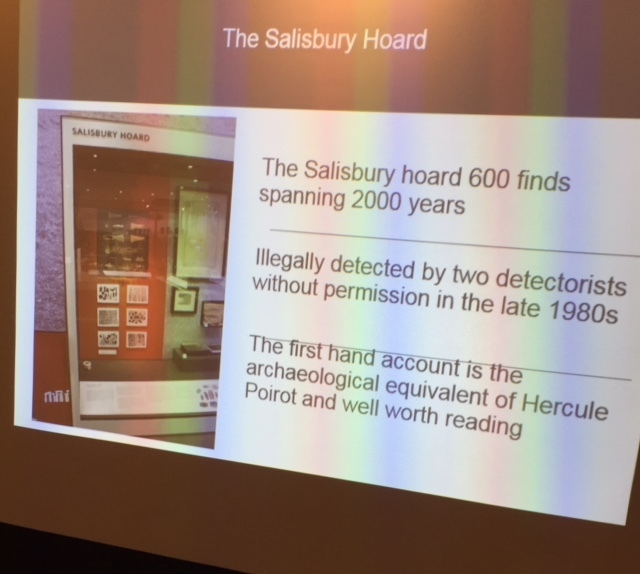 I didn't take many photos, one of the screen when Richard was talking about the Salisbury Hoard. 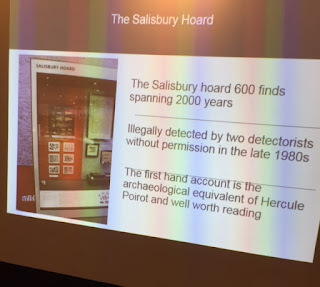 A new word entered my vocabulary that night, detectorists, people who use metal detectors to find metal artefacts. Richard was kind enough to donate 33% of the cost of his book to the Friends which was very generous, and one of our Friends in the audience subsequently asked at the museum how much the wine strainer would cost to renovate, and on being told £1000, agreed to pay for it to be restored. So altogether a very positive evening.